They served together in the Legislature from 2012 until 2015, and last week former Fort McMurray-Conklin MLA Don Scott was elected Mayor and former Fort McMurray-Wood Buffalo MLA Mike Allen was elected as a Councillor in the Regional Municipality of Wood Buffalo. In 2015, Scott was unseated by Wildrose leader Brian Jean and Allen was unseated by Wildroser Tany Yao. 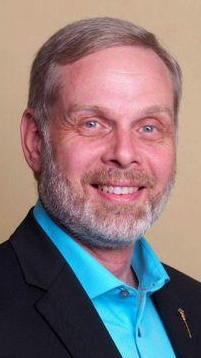 Stephen Drover, who placed second to Yao in the 2015 election as the NDP candidate, was re-elected as a Fort McMurray Public School Trustee this week. 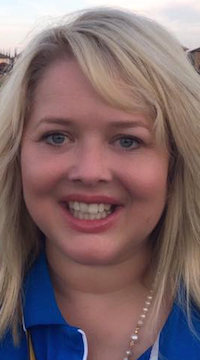 In Strathcona County, former PC MLA Jacquie Fenske finished third in a five-person race that saw incumbent Mayor Roxanne Carr unseated by former federal Liberal candidate Rod Frank. This marks the third time in three consecutive elections that an incumbent mayor has been defeated in Strathcona County. Fenske had served as MLA for Fort Saskatchewan-Vegreville from 2012 to 2015. In Calgary, both former PC MLAs Linda Johnson and Art Johnston were unsuccessful in their bids to be elected to City Council. 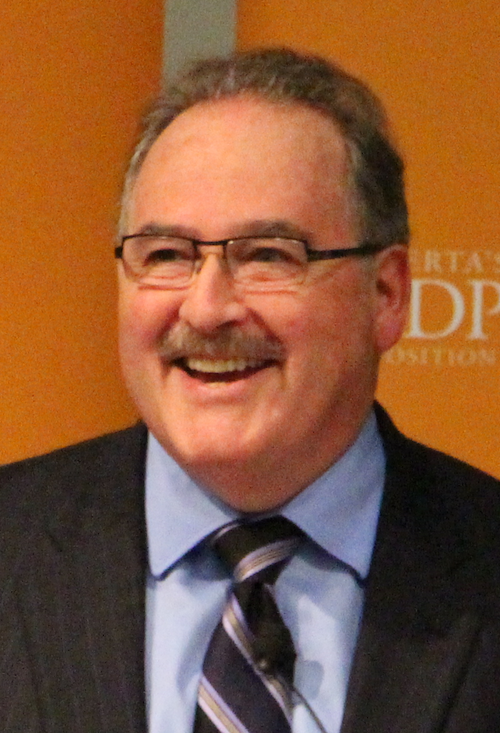 Johnson had served as MLA for Calgary-Glenmore from 2012 to 2015 and Johnston as MLA for Calgary-Hays from 2004 to 2012. In Edmonton’s Ward 5, former Edmonton-McClung MLA David Xiao finished second behind Sarah Hamilton. Xiao had served as MLA for Edmonton-McClung from 2008 to 2015. Hamilton previously worked as press secretary to PC cabinet minister Stephen Mandel and Director of Communications for the Coal Association of Canada. Conservative candidate Dane Lloyd surprised no one when he held his party’s stronghold in today’s federal by-election in Sturgeon River-Parkland. With 242 of 251 polls reporting, Lloyd had 77 percent of the vote, compared to 12 percent for Liberal Brian Gold, 7 percent for New Democrat Shawna Gawreluck and 2 percent of the vote for Christian Heritage Party candidate Ernest Chauvet. Meanwhile in Quebec, the Conservatives were unable to hold the Lac-Saint-Jean riding in a federal by-election triggered by Denis Lebel‘s resignation. The Conservatives had held the riding since 2007 but, with 236 of 264 polls reporting, the party’s candidate was placed third behind Liberal Richard Hébert and Bloc Quebecois candidate Marc Maltais. The by-election marks the first time voters in this conservative riding have elected a Liberal since 1980, when another Trudeau was Prime Minister. This entry was posted in Alberta Politics and tagged 2017 Municipal Elections, Art Johnston, Brian Gold, Brian Jean, Coal Association of Canada, Dane Lloyd, David Xiao, Denis Lebel, Don Scott, Ernest Chauvet, Former PC MLAs, Jacquie Fenske, Linda Johnson, Marc Maltais, Mike Allen, Richard Hébert, Rod Frank, Roxanne Carr, Sarah Hamilton, Shawna Gawreluck, Stephen Mandel, Sturgeon River-Parkland, Sturgeon River-Parkland by-election, Tany Yao on October 24, 2017 by Dave Cournoyer. 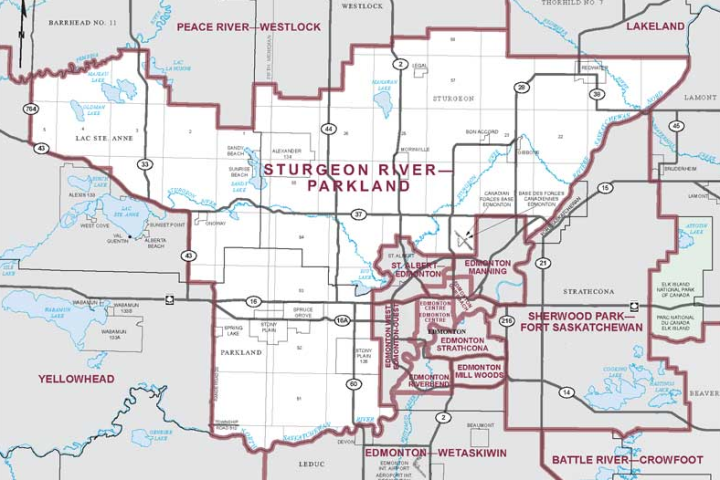 As if voters won’t already have enough candidates knocking on their doors with Alberta’s municipal elections scheduled for October 16, 2017, a federal by-election will be held in the Sturgeon River-Parkland electoral district with a vote on October 23. It is widely expected that whoever wins the Conservative Party of Canada candidate nomination will be easily elected as the riding’s next Member of Parliament. And with the by-election being held one week after the municipal elections, voter fatigue could lead to a record low turnout in this by-election. I plan to pay particular attention to this by-election over the next few weeks, as it is where I grew up and where my family originally settled and homesteaded in the 1890s. Initially scheduled for mid-October, the Conservative Party moved its nomination meeting dates to September 23, 2017 in Stony Plain and September 24, 2017 in Morinville. Four candidates are seeking the Conservative Party nomination: local party organizer Jamie Mozeson, recently relocated Vancouver businessman Rick Peterson, and political staffers Dane Lloyd and Luke Inberg (Note: I haven’t seen Luke in years, but our families lived down the street from each other in Morinville and we worked together at the St. Albert IGA while we were both studying in University. I can’t speak to his politics today, but I remember him as a nice guy back then). Mozeson’s website lists endorsements from former riding MP Rona Ambrose, former Stony Plain MLA Ken Lemke, and sitting Conservative MPs Michelle Rempel, Matt Jeneroux, Tom Kmeic, Garnett Genuis, and Arnold Vierson. After a twelfth-place finish in the Conservative Party’s recent leadership race, Peterson relocated moved from Vancouver to Spruce Grove in order to run in this by-election. 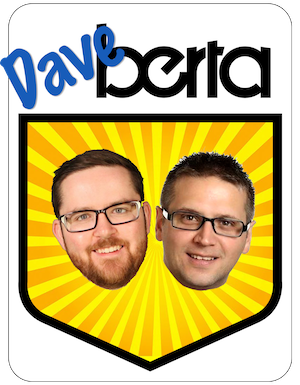 His campaign has adopted an oil derrick as their logo, likely to demonstrate how Albertan he has become since moving back to the province a few months ago. 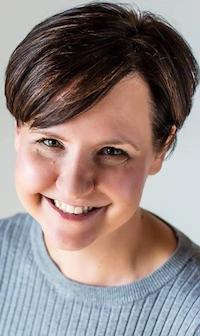 Medical laboratory technologist and small business owner Shawna Gawreluck is expected to be acclaimed as the New Democratic Party candidate at a nomination meeting on September 21 at the Elks Social Hall in Spruce Grove. 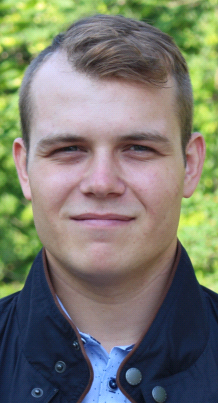 Ernest Chauvet defeated Kevin Schulthies in a nomination meeting to become the Christian Heritage Party candidate in early September. Chauvet earned 690 votes as his party’s candidate in this riding during the 2015 federal election. While i have not been able to find any information on who might run as the Liberal Party candidate in this by-election, the party has scheduled a nomination meeting on Sept. 21 at the Border Paving Athletic Centre in Spruce Grove. The party does appear to have shown some activity in the riding. A tweet was posted showing Halifax Liberal MP Andy Fillmore campaigning with local party supporters on Sept. 8. Update: The St. Albert Gazette reports that Brian Gold will be acclaimed as the Liberal Party candidate in Sturgeon River-Parkland. Gold ran in the 2015 election in the Edmonton Griesbach riding and finished third with 10,387 votes. 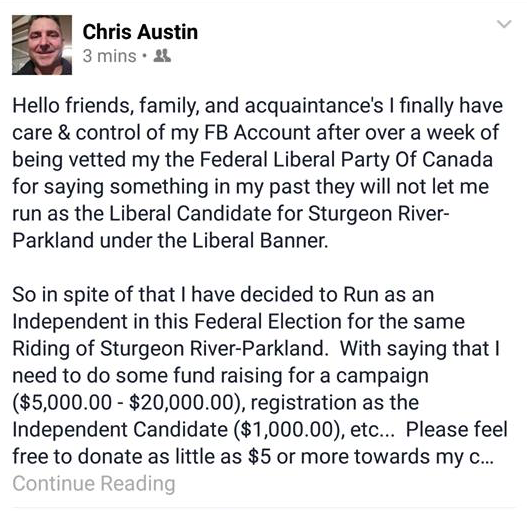 This entry was posted in Alberta Politics and tagged Andy Fillmore, Arnold Vierson, Dane Lloyd, Ernest Chauvet, Garnett Genuis, Jamie Mozeson, Kevin Schulthies, Luke Inberg, Matt Jeneroux, Michelle Rempel, Rick Peterson, Rona Ambrose, Shawna Gawreluck, Sturgeon River-Parkland, Sturgeon River-Parkland by-election, Tom Kmeic on September 20, 2017 by Dave Cournoyer. A federal by-election will be held in Sturgeon River-Parkland in the coming months following the resignation of Conservative Member of Parliament Rona Ambrose. Ambrose served as MP for this riding from 2015 to 2017 and as MP for the now defunct Edmonton-Spruce Grove riding from 2004 to 2015. A by-election must be called by December 31, 2017. This is a very safe Conservative riding. Ambrose earned 43,220 votes in the October 2015 election, compared to 9,586 votes for Liberal Travis Dueck, 6,166 for New Democrat Guy Desforges, 1,875 votes for Green Brendon Greene and 690 for Christian Heritage candidate Ernest Chauvet. In order to find a competitive race in this riding, you have to go all the way back to a 1986 by-election, when parts of the riding were included in the former Pembina riding. In that year’s by-election, Progressive Conservative Walter Van de Walle narrowly edged out New Democrat and former Edmonton mayor Ivor Dent by 274 votes. According to her online biography, Conservative Party activist Jamie Mozeson has worked as a political staffer in the offices of a few prominent Conservative politicians, including former Stony Plain MLA Stan Woloshyn, Edmonton MP Mike Lake, Premier Jim Prentice and Prime Minister Stephen Harper. She recently served as Alberta Regional Organizer and Target Seat Manager during the 2015 election. Vancouver businessman Rick Peterson placed 11th out of 13 candidates in the recent Conservative Party leadership race and is reported to be considering running for the Conservative Party’s nomination in this by-election. According to recent comments posted on Twitter, he is moving to Edmonton this month, presumably to run in the by-election. Garry Keller does not appear to have officially announced his candidacy, but there was speculation by Ottawa media following Ambrose’s resignation that he might run in the by-election. Keller, who is from Stony Plain, served as Ambrose’s chief of staff and previously served as chief of staff for Minister of Foreign Affairs John Baird. He worked as Legislative Assistant to former area MP John Williams from 1997 to 2006. It was announced today that Ambrose will be appointed to the Canadian government’s North American Free Trade Agreement advisory panel ahead of renegotiation discussions with the United States and Mexico. Ambrose joins 12 other panelists, including Canadian Labour Congress President Hassan Yussuff, fellow former Conservative MP James Moore, Assembly of First Nations National Chief Perry Bellegarde and Alberta Premier Rachel Notley‘s former Chief of Staff Brian Topp. This entry was posted in Alberta Politics and tagged Brendon Greene, Brian Topp, Ernest Chauvet, Garry Keller, Guy Desforges, Hassan Yussuff, Ivor Dent, James Moore, Jamie Mozeson, Jim Prentice, Mike Lake, Perry Bellegarde, Rachel Notley, Rick Peterson, Rona Ambrose, Stan Woloshyn, Stephen Harper, Sturgeon River-Parkland, Sturgeon River-Parkland by-election, Travis Dueck, Walter Van De Walle on August 2, 2017 by Dave Cournoyer.